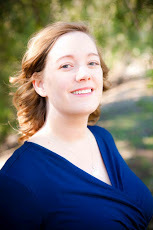 As part of the Boundless blog tour (hosted by Mundie Moms), I have author Cynthia Hand stopping by today to answer a few questions about writing inspirations, the Unearthly trilogy, and her future writing plans. Please join me in welcoming one of my favorite YA paranormal authors! When you first started to write the Unearthly series, did you have the entire story mapped out in your head? Or did you let the characters take the story where it felt right to go? I am not really a plotter. When I write a novel (or a series) I typically have a good ground situation, a sense of who the characters are, and a very vague sense of where they might end up. I like to follow my characters home, so to speak, and I feel like, if I create them well enough, they will almost write the story for me. That's part of the magic of writing for me, to see where my people take me. Which authors and/or books do you pull inspiration from? I read a lot, and any time I read a simply fantastic book I always feel a stab of jealousy (why couldn't I write THAT) and then a wave of inspiration to write something good, maybe not so good as THAT (Maggie Steifvater's The Scorpio Races made me feel this way, or Lauren Oliver's Before I Fall) but as good a story, with as good a language as I can possibly churn out. It's a good kind of jealousy. Was this story meant to be a trilogy, or do you think you'll write more inside the world of Clara, Tucker and Christian? I originally thought of the series as a a quartet? (4? ), but sometime last year it shaped itself into 3 books and a novella. I do have other Unearthly-related stories inside my crowded brain (I have a whole, fully-formed, LARGE storyline for Maggie, for example, but whether I will ever get those down on paper, I honestly don't know.) I think it will be good to work on a new world and a different type of book for a while. Even though your books focus on paranormal elements, your writing has a heavy sense of contemporary themes. For me personally, I have thoroughly enjoyed reading this series because of that. Do you have any interest in writing a standalone contemporary novel? You're psychic. My next project is a stand-alone contemporary. With a tiny supernatural twist. And that is pretty much all I can tell you at this point. The setting for this story is another aspect that really grabbed my attention. Do you have a personal connection to the mountains in Wyoming? Yes, I grew up in Idaho, but very close to the Wyoming border. I've spent a lot of dreamy afternoons in that part of the world. Be sure to check out the next stop on the blog tour at Fangirlish tomorrow. I can't wait for Cynthia's standalone. I know whatever she writes, it'll be pretty amazing. Ahhh! Lovely interview! I can't wait for Boundless! I haven't read the second book, Hallowed, yet. 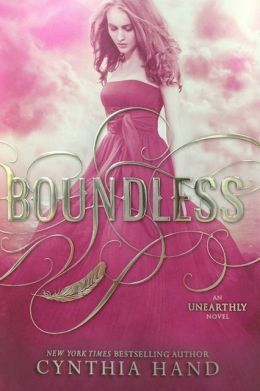 I want to read it the day before Boundless comes out so I don't have to wait for the closure. I know it would break my heart if I had to wait! I thought the first book was AMAZING and I know the 2nd and 3rd will find their way to my favorites. I just know it. Great interview. This. Book. KILLED. Me. Such a fun series. I have been counting down the days till the release!!! I can't wait for it to actually get here.